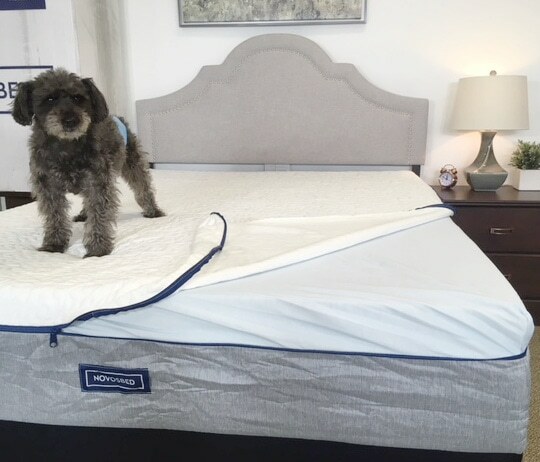 Novosbed Mattress Review: Memory Foam With A Comfort Guarantee! 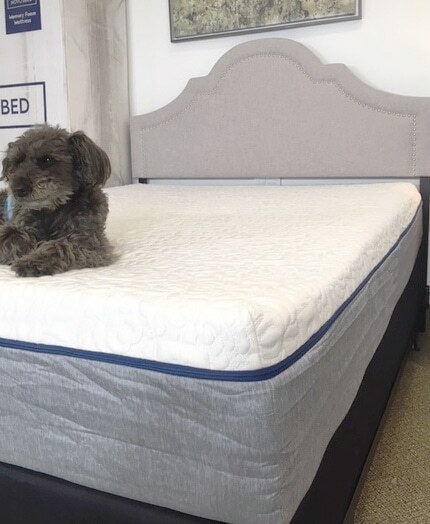 The Novosbed mattress is an 11″ memory foam bed that is using not one, but two layers of comfort foams. The top layer is the latest next generation memory foam with another layer of memory foam under it. This creates a true memory foam feel, but also has a bit more response from the top foam. This is great for not getting that stuck in the bed feel. Novosbed Mattress Coupon: Newest Code HERE! The Novosbed mattress comes in three firmness options, soft, medium and firm. If for some reason you get your bed and it doesn’t feel quite right, not problem. They also offer the perfect firmness guarantee that will easily adjusts the feel to be slightly firmer or softer. This is easily done by removing the top washable zippered cover and adding a two inch memory foam layer. Simple as that you are able to make your mattress the perfect feel for you. This bed has a dense base foam as well to ensure proper support and long term durability. Besides being supportive and comfortable this mattress also is great for minimizing motion. As well as having a solid and consistent feel that makes for a fully usable sleeping surface. It also comes with free shipping, a 120 night trial and a 15 year warranty. This mattress really strives for quality and top notch construction. Making it a comfortable bed that will last you for many years to come. Click the image below to buy your Novosbed now and save $100. Below is our detailed review of the Novosbed mattress. We go through how it performed for off gassing, comfort, motion transfer and sleeping cool. As well as edge support, materials and value too. Delivery is included with your new Novosbed. This free service includes your mattress being compressed and roll packed and shipped right to your door. Novosbed also offers the option to upgrade to white glove delivery service as well as mattress removal for additional fee. If you opt to pay the added fee your Novosbed will be set up for you with nothing for you to do except enjoy your new bed. If you go with the free delivery there may be a few minutes of work, but nothing that two people can’t do in about 10 minutes. All you need to do is get your new mattress to your bedroom. Remove it from the box and carefully cut the plastic away. Give it a few minutes to initially expand and reposition. Than leave the room and let it fully air out as well as expand for several hours. It may take at least 24 hours before the foams fully decompress, but you should be able to sleep on it fairly quickly. During the unboxing process you may notice a bit of off gassing but it should be very minimal, especially since it is made in the USA. With most boxed mattresses there will be a little bit of smell initially. Once it is allowed to unroll and take shape it should dissipate. It should be fine within a few hours but if you are more sensitive to certain smells letting it breath up to 12 hours would probably be a good idea. 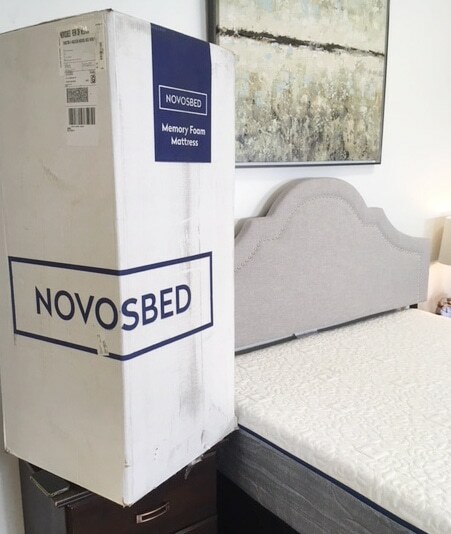 See how the easy the Novosbed is to unbox and our initial thoughts below! The Novosbed has you covered for comfort. This mattress comes in three firmness options; soft, medium and firm. All a very pressure reliving true memory foam feel. 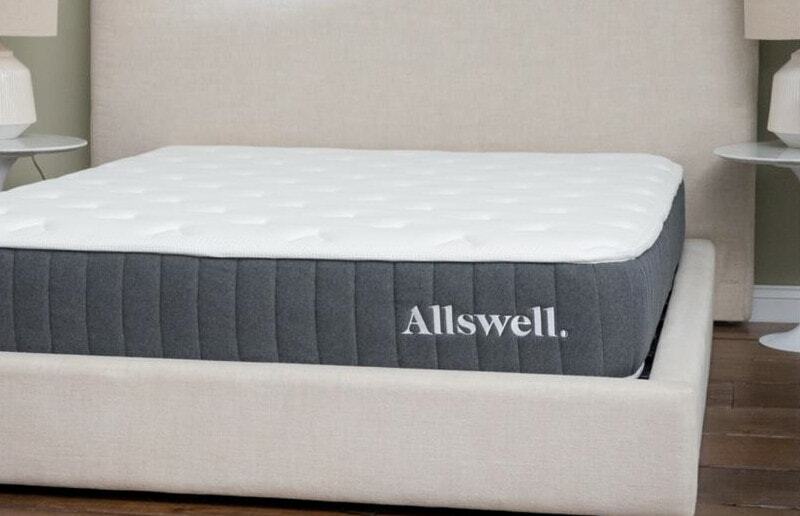 The top layer is a airflow gel memory foam that is ideal for pressure points and optimal comfort. It is also aerated for heat dissipation. Under that is another layer of memory foam that provides deep comfort and even weight distribution. Together with the base foam this creates an 11″ mattress that will be sure to find everyone’s sweet spot. The soft option will be perfect for anyone who likes to feel a plush top and more in the bed. Coming in on a firmness scale around a 4. The medium is the most popular option and comes in around a 6 on the firmness scale. This option is great for all shapes and sizes. As well as all sleeping positions and couples who share a bed. The firm option is great for anyone who likes a more supported, dense feel more on the bed. This will fall around an 8 on the firmness scale. Each option allowing you to find the best feel for you. The unique thing about Novosbed is that for some reason if one of the three available options isn’t quite right, it’s not a problem. Their perfect firmness guarantee insures that with a quick phone call a comfort kit can be sent your way to make the mattress a little softer or a little firmer, creating that perfect feel. Unlike a topper that sits on the mattress this kit works in conjunction with their removable cover to add an insert to make this layer apart of the bed. Best Novosbed Mattress Discount HERE! Like most all foam or memory foam mattresses this mattress should have very little vibrations caused by movement. The dense foams should absorb the majority of vibrations and makes for very minimal to no motion transfer to be felt. The layers of memory foam deaden the feel of movement, yet are still easy to move on. This mattress would be great for anyone who shares a bed because of this. There will be little disturbance when getting in and out of bed. And even light sleepers that a low tolerance for others moving about should be fine. This true memory foam mattress is doing what it can to stay temperature neutral. Any all foam mattress is going to hold more heat than its hybrid counterpart. However, there are a few ways to try and alleviate this. The Novosbed uses a top layer of gel airflow memory foam. This foam is aerated and punched with holes to allow for heat to dissipate. This mattress also has a TENCEL cover that is soft and luxurious but also is great for wicking away moisture to keep you cool and dry. Another option for warm sleepers is having the ability to choose a firmer bed. Having less of your body sink into a soft mattress allows for better air flow and less heat retention. Opting for the medium or firmer feeling bed will aide in sleeping cooler too. The edge support on the Novosbed mattress should feel stable and create a solid, edge to edge usable sleep surface. 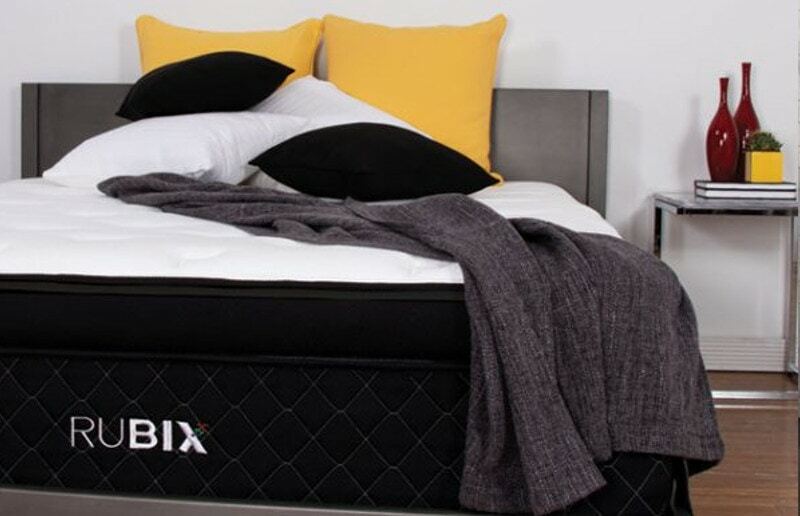 The dense base foam paired with the supportive memory foam layers should create a durable perimeter. Sleeping on this mattress you are able to feel a consistent feel across the entire surface and not have a “rolling out of the bed” feel. As far as sitting on the edge goes, you will feel some support but it won’t be ideal for sitting on the edge. This mattress is priced at $1099 for a queen size and that includes free delivery, a 120 night sleep trial and has a 15 year warranty. We feel that the Novosbed is a good value. You are getting a true memory foam mattress with not just one, but two dense and personalized layers of memory foam. Not to mention that this bed comes with a comfort guarantee that makes the end result as close to your ideal feel as possible. The support, comfort and quality for this price point are fantastic. The additional options for customizing the comfort make it hard to pass up. This is already a great deal and to make it even better you can save an additional $100 just by following this link to novosbed.com. Latest Novosbed Coupon: Save BIG HERE! The Novosbed mattress has a 120 night sleep trial period. This is slightly above the online mattress industry average and what is typical offered. 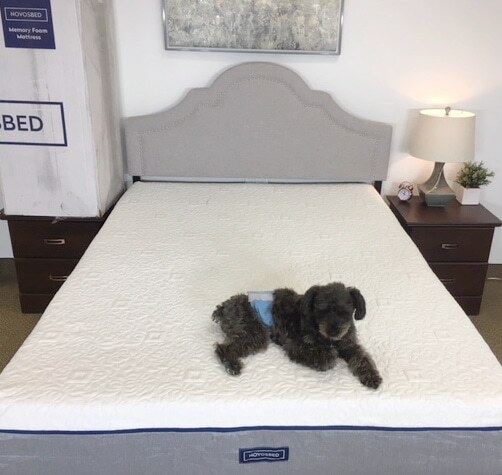 This trial period is a few days longer than most and allows for a sufficient amount of time to see if this mattress is a good fit for you and also has a very easy return process if it isn’t. This mattress comes with a 15 year warranty. The prorated 15 year warranty is above the industry standard for warranties. This warranty shows that this company really backs their product. This provides consumers with the confidence that this is a mattress that the company will stand behind. If you are looking for more specifics for the Novosbed warranty find out more at novosbed.com. 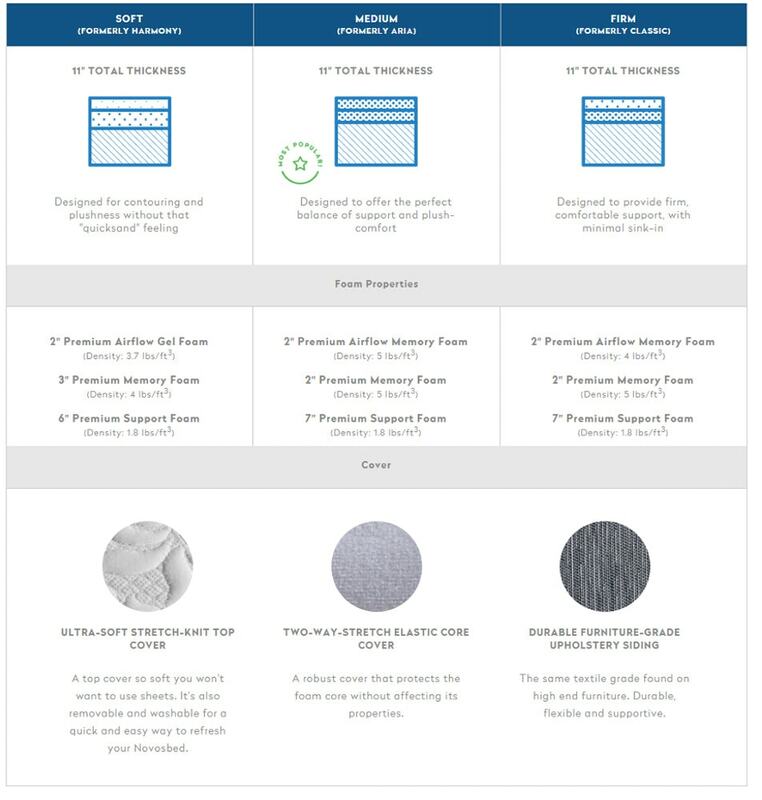 Or for a helpful tool check out Our Mattress Warranty & Trial Period Guide. 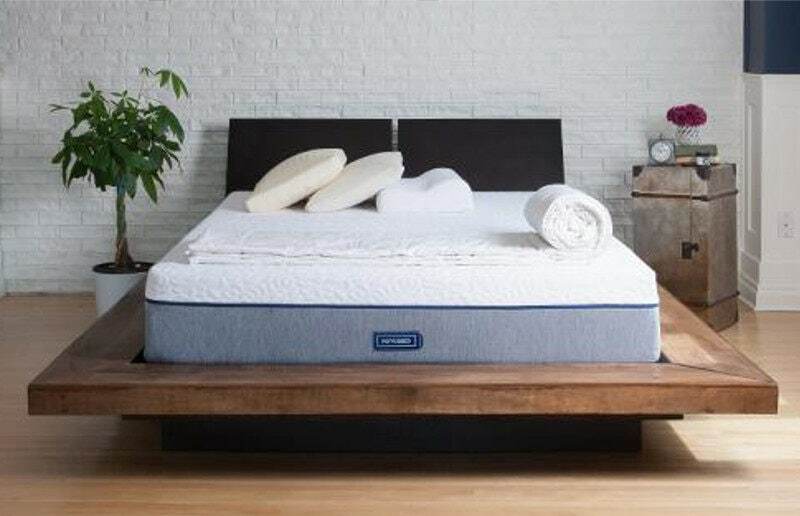 Novosbed Mattress Coupon Code – Click HERE! Also, remember Our Sleep Guide is here to help and make sure you find the best mattress for you! If you have questions or need more insight during your mattress buying journey, please feel free to contact us. 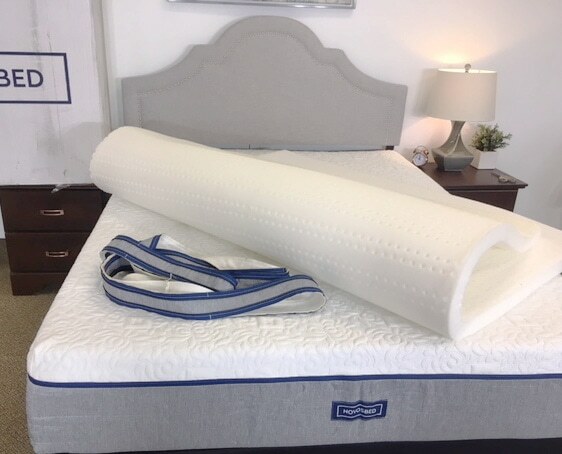 The Novosbed is a great option for anyone wanting to choose a memory foam mattress that is just the right comfort level for them. The comfort guarantee just makes it that much better knowing you can freely adjust your mattress to be slightly firmer or softer if needed. The price point is great and the benefits are ample. Making it a great option. If you want a true memory foam mattress that comes in three firmness options as well as offers a perfect comfort guarantee. You like a mattress with minimal motion transfer, solid durable materials and breathable foams for more temperature neutral sleeping. You like a well priced mattress that comes with a substantial warranty and a sufficient trial period. You like a company that is adamant about using quality materials and construction to make the best bed. Still looking for some more information? Visit Novosbed at novosbed.com. Also, have questions for us? Please contact us and we would be happy to help you! CLICK BELOW for the latest coupon on your new Novosbed Mattress!